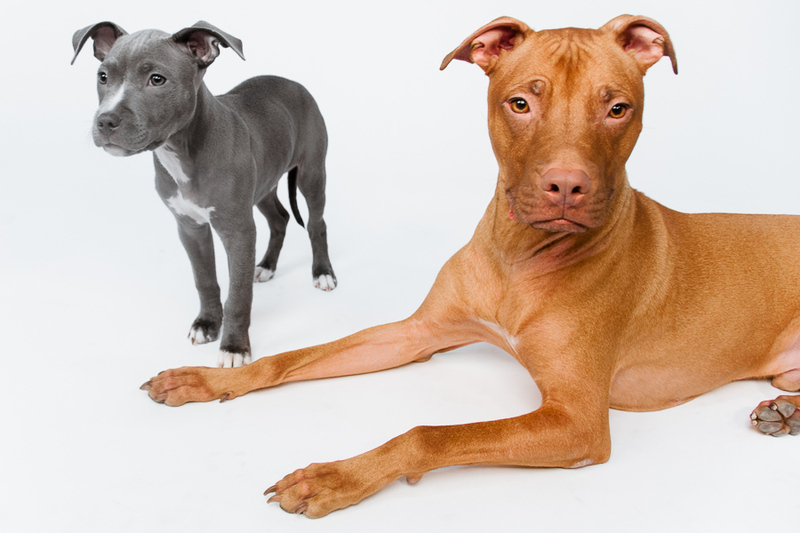 If you know me at all, you know that my absolute favorite breed of dog is the American Pit Bull Terrier. Though they are currently at the forefront of the “scary dog” stereotype (for which I blame the media entirely), in actuality they are some of the most gentle and loyal dogs in existence. 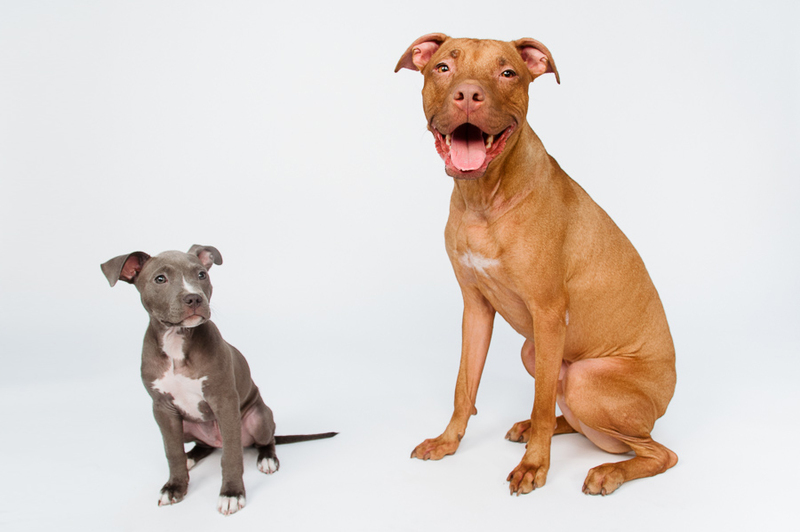 Decades ago, before the evils of Michael Vick and others like him, pit bulls were the “nanny dogs” of choice — as evidenced by Petey, the famous pittie who watched over all the Little Rascals. If you’re interested, this blog made a fantastic two-part post highlighting some photographs from the early 20th century of children posing with their beloved pit bull babysitters. B and I adopted Charlie in November 2008. Click here to check out Charlie’s blog and here to read his adoption story! 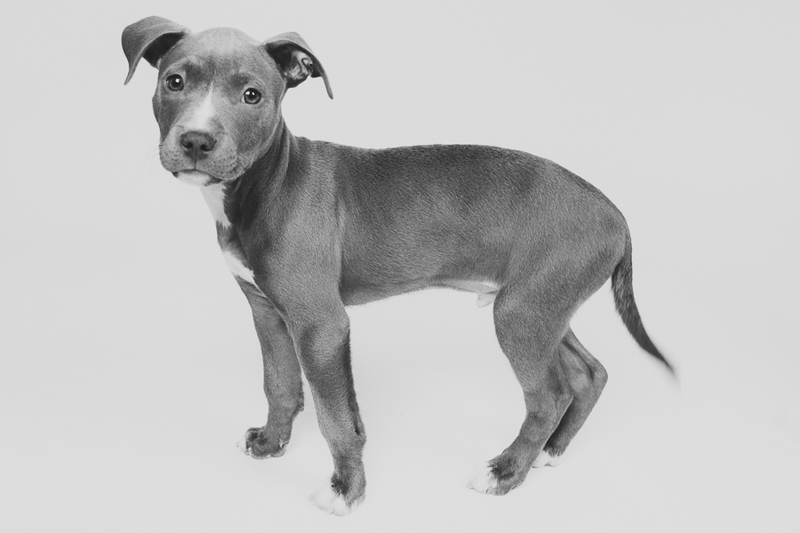 When our friend adopted a little tiny blue nose pit puppy (and named him Dewey! ), I didn’t waste any time getting the two dogs in the studio together immediately. Since it was nearing Christmas, we had some fun with the best thing ever: dog clothes. Another friend’s MinPin-Jack Russell mix, Mancha, joined the party. BONUS: This was our Christmas card. Yes, that is actually a real treat I put in front of Charlie’s nose!